SKU: 20131118. Category: Autographed, Book. 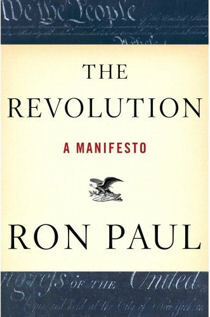 In The Revolution, Texas congressman and former presidential candidate Ron Paul has exposed the core truths behind everything threatening America, from the real reasons behind the collapse of the dollar and the looming financial crisis, to terrorism and the loss of our precious civil liberties. In this book, Ron Paul provides answers to questions that few even dare to ask.